The Chairman of Help Stop Cancer, Christine Bowyer-Sopp is studying a degree in Business Management at the University Centre Peterborough (UCP). 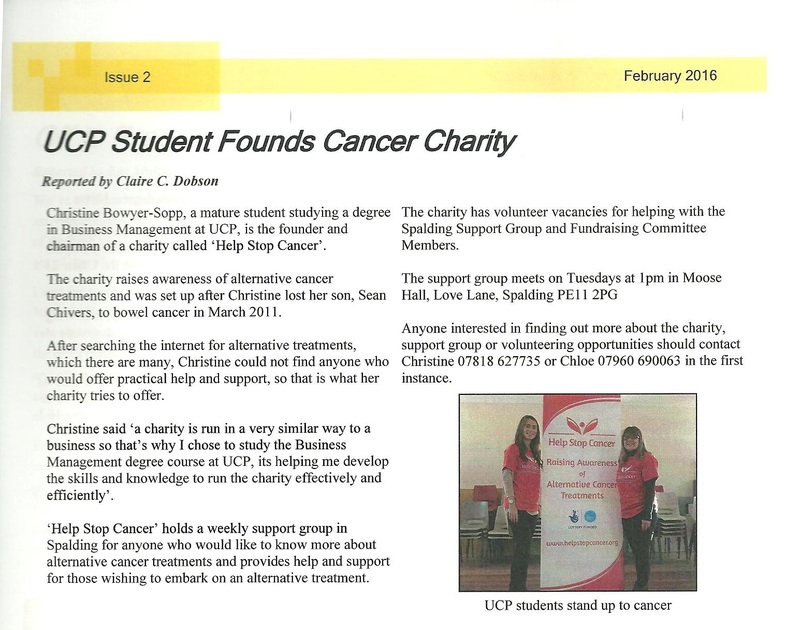 The UCP magazine called The Hive have printed an article about Christine and how the charity started. This entry was posted in Cancer Treatments and tagged alternative cancer therapies, alternative cancer treatments. Bookmark the permalink.